Empties time! 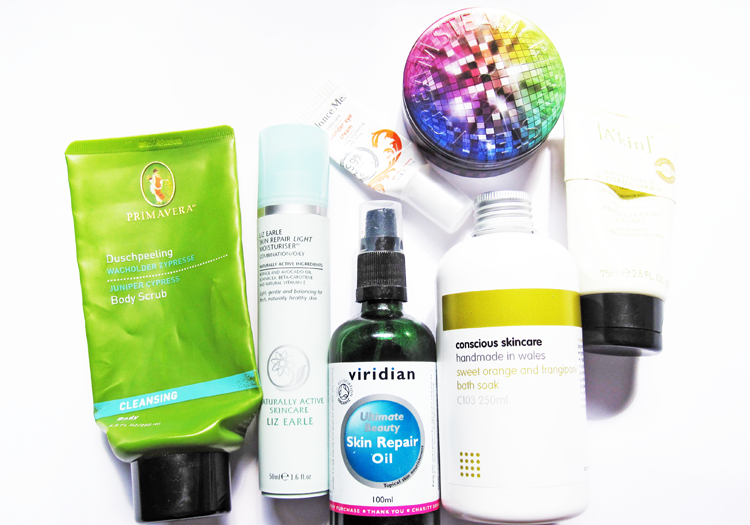 Here are the products I've managed to finish up recently, my overall thoughts on them, and whether I'd repurchase any again or not. Very invigorating and helps to wake you up first thing in the morning (which is always a good thing! ), though I found the scrubby particles didn't do anything for me as I couldn't really feel them. Repurchase? No, but I will be on the hunt for products that have Juniper and Cypress scents! Any suggestions? One of my holy grail skincare products, I've gone through about 3 or 4 of these tubes so far. It's just a great basic moisturiser for oily/combination skin, that's light and easily absorbed. It balances where it needs to and offers a good level of light moisturisation. Repurchase? Definitely. Huge fan of this, in fact it's one of my favourite eyecreams. It's nice and light so it's a perfect option to use in the mornings before applying concealer. Really helps to brighten and hydrate the undereye area. Repurchase? Already have more in my stash! Lovely rosehip blended oil that can be used everywhere and helps to give some extra TLC to neglected or extra dry areas. I liked the subtle lavender scent too. Repurchase? Yes. Love, love, love Steamcream! You've probably seen me mention it before as I've used a number of these tins up in the past and always have one on the go in my bathroom. Great multi-purpose moisturiser that's particularly good for hands and feet. Repurchase? Already have. Sad to say that I initially enjoyed this, but after using around half of the bottle, I noticed that the scent had started to fade to the point where it was barely noticeable for the last couple of baths. I'm not sure if this was normal or not, but it's put me off buying another one. Repurchase? No. Fantastic clay based face mask for anyone who has combination/oily skin. It gets to work in 10-15 minutes, declogs pores and draws out impurities a treat. Repurchase? I'm using the Indie Lee Clearing Mask currently (review of this coming up! ), but would definitely buy this again in the near future. I really need to try some Steamcream, looks awesome. The Balance Me eye wonder cream is supposed to be amazing, need to get my hands on that! This has just reminded me I need to buy a new body scrub! Thinking of picking the Body Shop one up next time I pop into store! They've got some lovely berry/fruit ones in at the mo! thanks for sharing the empties. it's always helpful! Ooh the viridian oil sounds right up my street! It's really good and the bottle lasts ages! The steam cream and the eye cream sound like two things I really need to try! I've seen steam cream everywhere and I'd love to own one right now! Love this post! You just reminded me that I wanted to try Steamcream! I'm sad that the Conscious Skincare product didn't work for you. They've been on my wishlist for the longest time!